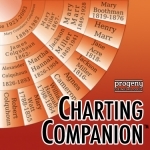 This amazing charting program produces high-quality genealogy charts from your Legacy family file. Creates large wall charts - great for display at family gatherings. 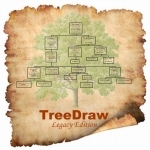 GenSmarts analyzes the genealogy information you've previously recorded in Legacy, and creates a checklist of sources to search. 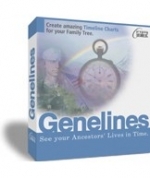 Genelines is a timeline charting companion for Legacy that lets you place the names and events of your family's past into historical context. It creates unique, customizable charts, including full descendant and time-based fan charts. Comes with a library of historical timelines. 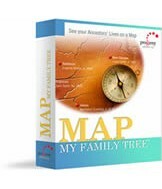 Because life is a journey, see your ancestors' lives on a map with Map My Family Tree. 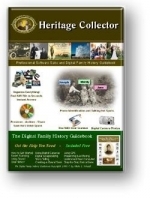 This software automatically geocodes your family tree in seconds so you can see where your ancestors were born, married and died.